Do You Need a Social Media Customer Service Team? Is your business on social media? Do you have a customer service team? If so, it might be a good (read: great) idea to combine forces and think about incorporating a social media customer service team into your business rubric. Let's face it: Even if you don't quite understand the purpose of social media or find it to be a waste of time, social media is increasingly crucial for businesses. The point is, if you're not on it, you're behind the times. Just think of the sheer number of current and potential customers who are on Facebook and Twitter. You Can Monitor What's Being Said About You. Let's first hope that your business doesn't have a negative image in the public eye. But in the off chance that it does, every negative post by a disgruntled or petty customer can be monitored on social media. You have ultimate ownership of your social media outlets and can properly reply to negative backlash. You also have the power to delete inappropriate posts that might tarnish your brand. You Can Quickly Respond to Customer Complaints. Especially in the digital age, customers are turning more and more frequently to social media to lodge complaints. There's nothing more frustrating than being put on hold for 20 minutes on the phone and listening to terrible elevator music. With social media complaints, you can actually take time out to craft (or tweet) a proper, timely response. You Can Potentially Prevent a Lawsuit Before It Happens. Many potential claims that a customer might have can easily be resolved with a compromise, an apology, or a refund. Sometimes, a customer who holds a strong grudge about being wronged may feel compelled to take legal action, even if it's frivolous -- and may even brag about their lawsuit threat on social media. 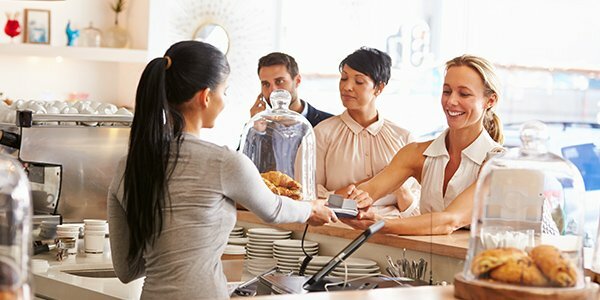 If you can spot red flags or address unhappy customers from the get-go, however, you may be able to avoid being sued. The More Accessible You Are, the More 'Real' Your Business Is. Because all of your social media accounts are officially tied to your business, having a real person from your company monitor and reply to posts will definitely present a more personal and "real" quality to your business. Personalized tweets and Facebook replies can be much more effective than sending customers to an automated complaint line, or sending "form" replies by letter or email.